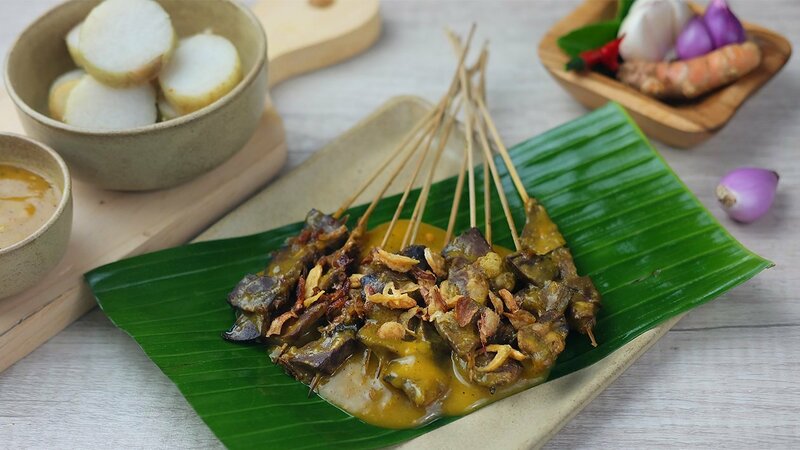 Serving skewers of beef, cow tongue or offal alongside peanut sauce made with plenty of chillies makes Sate Padang a spicy yet tasty dish, especially prepared with Royco Bumbu Dasar Ayam Kuning. List Price* Product not available. Crush the spices, then add the meat, beef offal and tongue. Leave to marinate for 30 minutes. Mix all the ingredients well. Mix the vegetables and peanut sauce well. Add lontong if necessary. After the vegetables are covered with the sauce, stir-fry it with Royco Bumbu Dasar Ayam Kuning. Add the meat, offal and boiled beef tongue and cook. Mix the prepared seasoning with rice flour, and heat until thickened. Prepare a serving plate using the banana leaves. Place the ketupat/lontong and satay, pour the thickened seasoning sauce, then sprinkle with fried onions. Add the sate padang, then sprinkle with fried onions and crackers over the dish.